The Summer School is one of the common modules of the programme and the main opportunity for students and academics to share knowledge and experience by spending some intense work-days together. 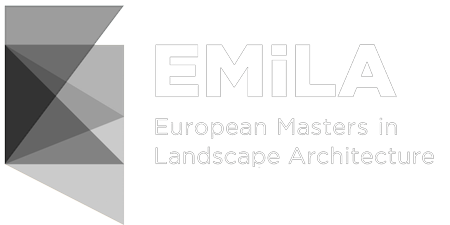 Students and academics work annually on contemporary landscape issues of European relevance. In addition, selected universities are invited to take part in this 10-day workshop to allow experience other design approaches and teaching methodologies. First EMiLA Summer School was organized by the Leibniz Universität Hannover at “Altes Land” near Hamburg in 2009. The idea of a joint curriculum for the programme arose from this successful experience. Since then Summer Schools have been hosted by a different EMiLA partner institution each year. Summer School themes are identified in close consultation with regions where pressing issues are pending to be worked on. It is up to each organizer to welcome students and teachers from all over the world. In 2016 venue took place in Barcelona.